During my experience in designing and planning more livable communities, I've come to terms with what I consider to be the essence of my work: connections. Whether it's an urban hike in a new city, a trail run through a forest, or cycling through neighborhood streets, I always feel the most alive exploring connections. As designers of these connections, we are tasked into awareness and consideration of our environment, culture, health, economy, and aesthetic while creating a variety of solutions for the human experience. We enjoy challenges that ultimately seek to identify a balance between where we live and how we live. In every community we work with, there are opportunities to promote this balance and shore up the positive attributes that are so unique to places. 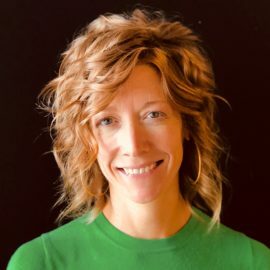 Britt is a professional landscape architect with a background in natural resource-based recreation projects, greenway and trail design, and active community design and planning. Britt is Alta’s Atlanta office leader, greenway and trail expert, and NICP CPTED professional. With over 13 years in practice, she has managed projects across the nation and cultivated an instinctual understanding of the complexities associated with design of open spaces and public trails in all landscapes. She approaches her work with the belief that each project provides the opportunity for community to activate, transforming its health, stimulating its economy, and boosting overall quality of life of its people.